FINLAND – Outotec has been awarded a contract to design and deliver a mine paste backfill system to a nickel mine in Canada. The contract price is not disclosed, but similar deliveries are typically valued at C$30 million to $45 million. The order has been booked into Outotec’s 2019 first quarter order intake. 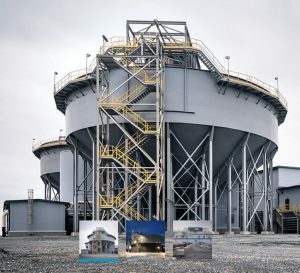 Outotec is delivering a paste backfill plant similar to this to a Canadian nickel mine. Outotec’s supply includes the design and delivery of a complete paste backfill system to service two underground orebodies. The new paste backfill system, with higher degree of accuracy for binder addition, will reduce operating costs of the mine and allow the operators to fully exploit the underground deposits. The new facility is expected to be commissioned towards the end of 2020 with a capacity of 300 dry t/h. “We are pleased to support our customer to improve their tailings management in a sustainable way. Outotec has vast expertise in mine backfill design and experience delivering paste plants. This project further solidifies our position in this market,” says Kimmo Kontola, head of Outotec minerals processing business. Learn more about minerals processing solutions at www.mining-technology.com/contractors/filtering/Outotec.